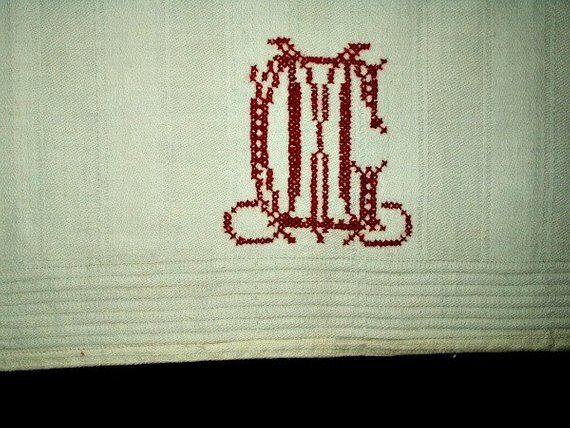 Early 1900 monogrammed C M cross stitched embroidery towel on a white on white stripe weave homespun. Towel measures 40″ long x 18-3/4″ wide. Width of the stripe is 1″ wide inside a border of narrow stripes.